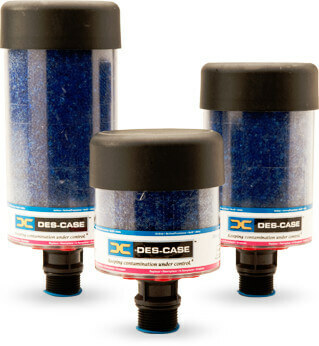 Des-Case hygroscopic breathers are unique, patented air filter and water vapor removal systems. They replace the standard breather or ventilation system on virtually all types of industrial equipment that contain hydrocarbons and other non-aqueous fluids. 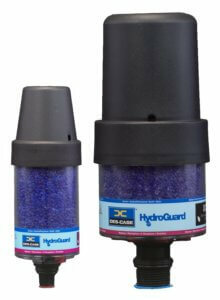 They also prevent contamination of products in storage and process tanks. Many other applications exist, including the reduction of pump down-time for vacuum chambers, adaption to air breathers for off-road vehicles, and more. 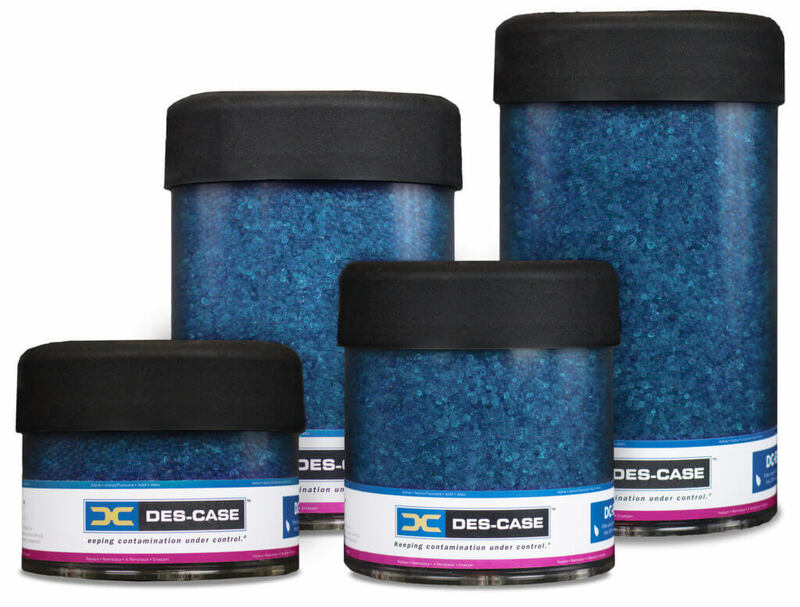 Standard Des-Case breathers from Filter Products Company provide simple, dependable protection from moisture and particulate contamination in lubricants across multiple industries and applications. They provide an excellent defense against humidity five times more effective than non-desiccant breathers. Efficiency is 3μ absolute (ß3≥200), temperature range is -20˚F–200˚F, and connections are 3/8″ to 1″ multi-fit with adapters available from ¾” to 1 ¾”. Flow rates run from 4.16 to 16 cfm @ 1 psid, depending on the model. Des-Case VentGuard breathers have check-valves that only breathe under slight pressure, extending desiccant life and making them an ideal solution for low-flow applications with intermittent operations. Efficiency is 3μ absolute (ß3≥200), temperature range is -20˚F–200˚F, and connections are 3/8″ to 1″ multi-fit with adapters available from ¾” to 1 ¾”. Flow rates range from 1.45 to 2.5 cfm @ 1 psid. Designed for steady-state operations and high-humidity environments, Des-Case HydroGuard breathers feature expansion chambers and internal check valves that create a nearly sealed system. This maximizes the use of air that has already been dried and filtered, and increases the life of each breather by 400–800%. Efficiency is 3μ absolute (ß3≥200), temperature range is -20˚F–200˚F, and connections are 3/8″ to 1″ multi-fit with adapters available from ¾” to 1 ¾”. Flow rates range from 1.41 to 2.5 cfm @ 1 psid. 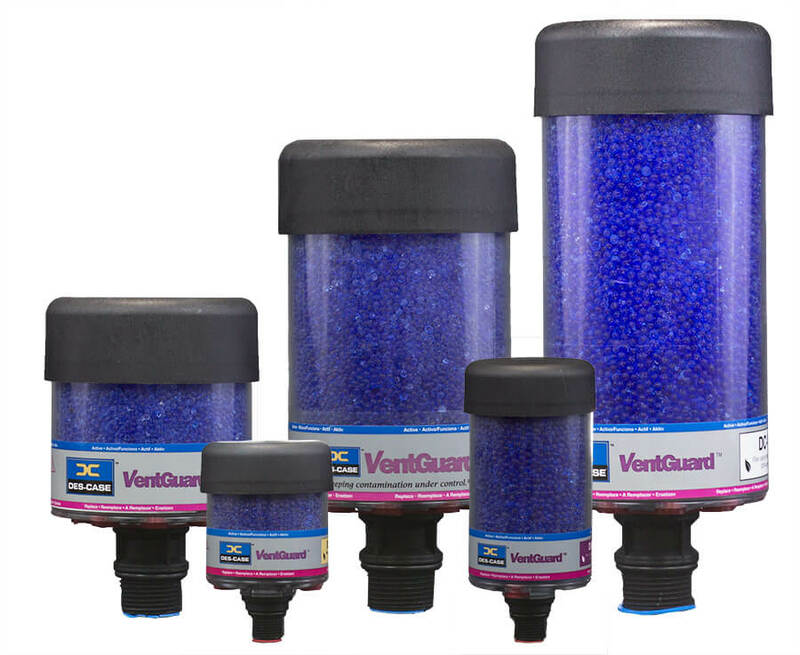 The long-lasting Des-Case Extended Series desiccant breathers combine the check-valves of VentGuard and HydroGuard breathers with an oil mist reducing feature and more than double the desiccant, increasing breather life. These breathers also boast an increased air flow of 24 to 27 cfm @ 1 psid, and work well for applications that are large or remote. Efficiency is 3μ absolute (ß3≥200), temperature range is -20˚F–200˚F, and connection is 1″ FNPT with 1″ and ¾” MNPT adapters available. Filter Products Company offers Des-Case Extreme Duty breathers, with excellent resistance to vibration, impact, and temperature (-40°F–300°F range), as well as extensive chemical compatibility. These breathers feature check valves, high air flow (16 cfm @ 1 psid), and efficiency down to 0.3µ absolute (β0.3≥200), the highest of any Des-Case breather. Connection is 1 ½” with 1″ and ¾” adapters available. 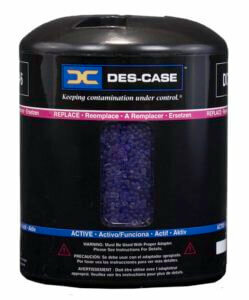 Any Des-Case desiccant breather above can be customized with your choice of adsorbent media. Choose from blue silica, orange silica, activated alumina, activated carbon, and molecular sieve media. Choose just one type of media, or choose two in 50/50 or 25/75 proportions. 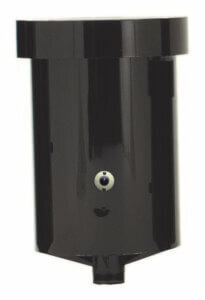 Designed for high temperatures, polluted air, and corrosive environments, Des-Case Rebuildable Steel breathers are made of rugged, powder-coated carbon steel or stainless steel. The workhorses inside are desiccant-filled polypropylene bag filters and 1-micron pleated filters, which are convenient to replace when recharging the units. Rebuildable Steel breathers accommodate large air flow rates (80 to 270 cfm @ 0.5 psid) with minimal pressure drops. Efficiency is 1µ absolute (β1≥1000), temperature range is -20˚F–200˚F, and connections are 2″ to 4″ with adapters available from 1″ to 4″. 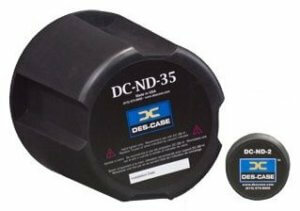 The above description refers to Des-Case DC-RS breathers. If you have a discontinued DC/CS or DC/SS breather, we can supply replacement desiccant bag filters for it. 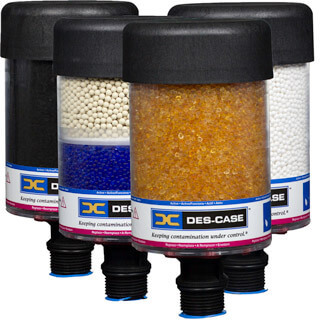 Des-Case Non-Desiccant breathers prevent contamination where water-based fluids are in use, or in other situations where humidity is less of an issue. Their hydrophobic media blocks particles down to 1 micron and also provides water protection. The different models achieve flow rates of 0.67 cfm and 40 cfm @ 1 psid. Efficiency is 0.3µ absolute (β0.3≥1000), temperature range is -40°F–300°F, and connections are 3/8″ to 1″.